Anibal from Guatemala raised $535 to treat acute malnutrition. Anibal's treatment was fully funded on September 21, 2015. Anibal began treatment for acute malnutrition. “I hope the power of God and your assistance will see our son to a full recovery. I have hope now,” his mother shares. Meet Anibal, a 13-month-old boy from Guatemala who has acute malnutrition. Our medical partner, Wuqu’ Kawoq (WK), introduces him as, “the youngest of five children. 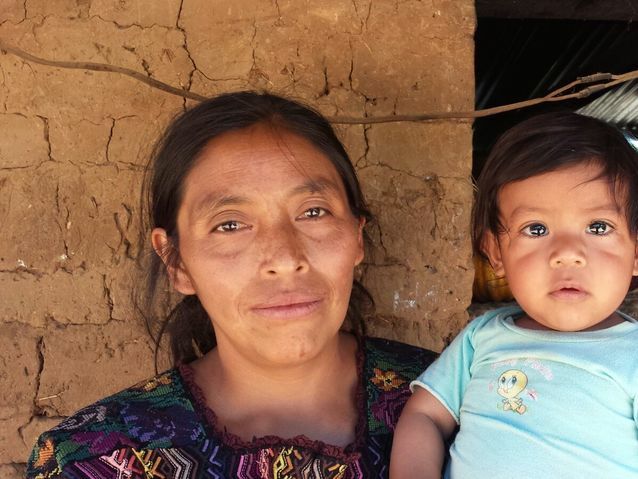 The children live together with their parents in a small adobe mud house.” Unfortunately, WK reports, the family does not “have the resources to feed Anibal properly.” As a result, Anibal’s growth has been stunted and he must face other negative consequences. Anibal's case was submitted by Katia Cnop at Wuqu’ Kawoq in Guatemala. Anibal was submitted by Katia Cnop, Watsi Account Volunteer at Wuqu’ Kawoq, our medical partner in Guatemala. Anibal received treatment. Medical partners often provide care to patients accepted by Watsi before those patients are fully funded, operating under the guarantee that the cost of care will be paid for by donors. Anibal's profile was published to start raising funds. Anibal's treatment was fully funded. We received an update on Anibal. Read the update. Orachi is a student from Uganda. He is the youngest of six children. In 2017, Orachi noticed a swelling on his right wrist. He experiences discomfort. Orachi traveled to our medical partner's care center to receive treatment. On March 13, surgeons will remove the mass. Now, Orachi needs help to raise $196 to fund this procedure. He says, "I like playing football."